Dosa made with wheat flour and powdered Oats. Wheat dosa is good for diabetic patients.THis can be taken with Kormas(Veg or Non-veg),Chicken, mutton or Fish kuzhambu or with stews(Veg or Non-Veg). Add all the other ingredients with dissolved wheat flour and mix well. 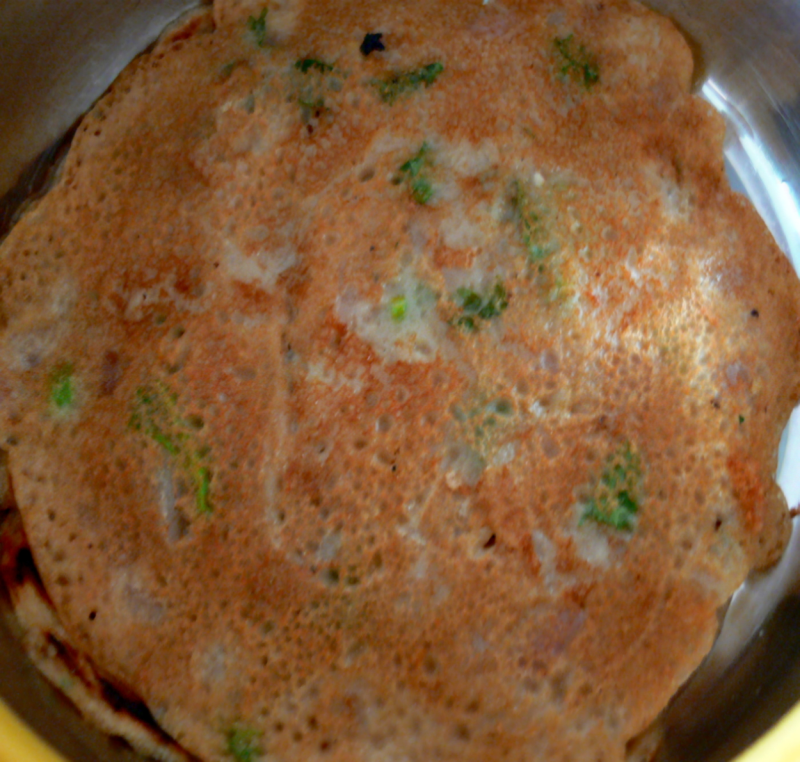 Heat Dosai Kadai (sim)and grease it with oil .Spread wheat dosa then turn over after a min and take that dosai after a min. Similarly do other dosais too. Great Dosa for all health concious guys out there. Thank U Christy . Sorry, wheat flour should be 2 1/2 cups atleast and water should be 3 1/2 cups.